Date of publication: December 09 2014 . Children grow up quickly. And not just strangers, but also your own. Look around do not have time as a man who has only recently made its first steps, already holding a pencil and creating their first masterpieces. And not just anywhere, but, for example, on the wallpaper. 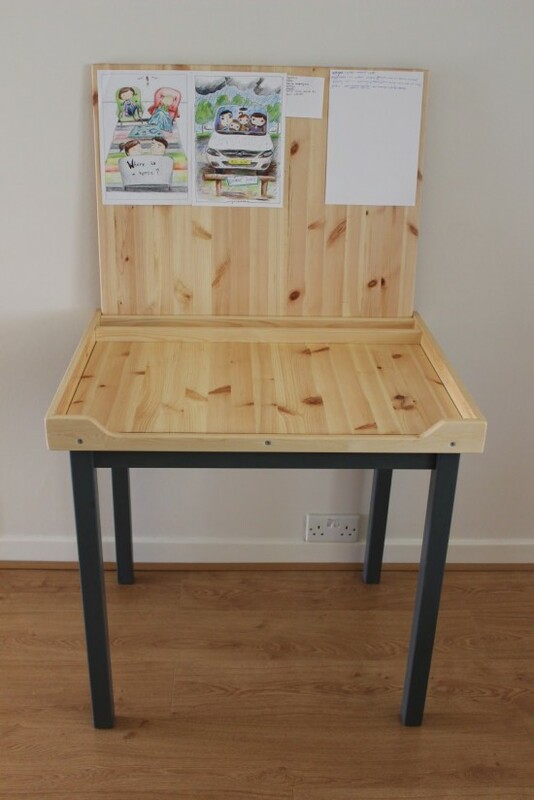 This is where parents need to be prudent and to get such a wonderful bagatelle like children's easel for creativity. 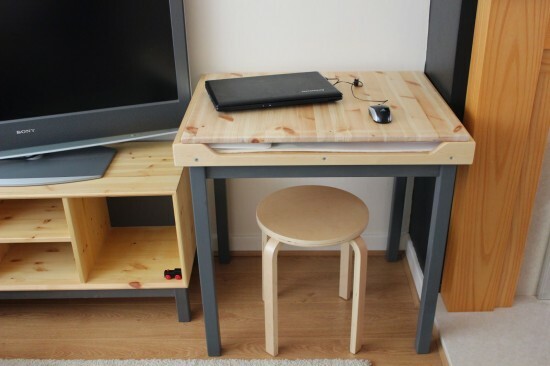 And our traditional heading alterations IKEA it offers the option of manufacturing. 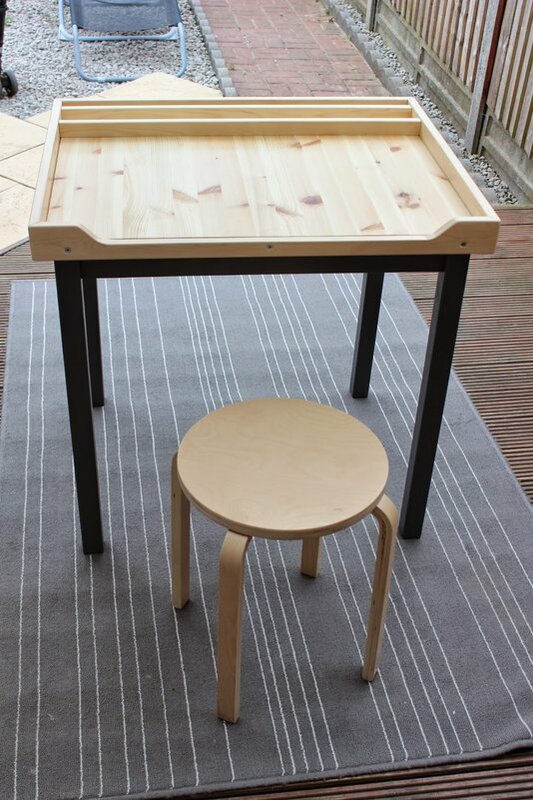 The main element will be Inga table of pine, a natural material that is ideal for the manufacture of furniture for children. This dimension of the table is too high, so we shorten it by about half. 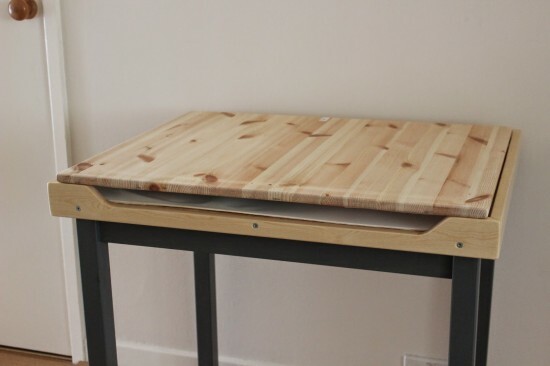 The second part of the table top is useful for the skin around the perimeter of the table. For output, we should get desk easelAnd paneling contribute to replacing the cover. On the other side, where the child will sit directly, do the deepening of such a form as shown in the photo. The next stage - making the cover. For this purpose, we use the SULTAN LADE. Do not be fooled by the fact that it is a great Slatted for bed. As practice shows, and our topic wooden parts are never superfluous, and only skilled craftsmen can always find a use for them. So, from the bottom of the rack to bring down the lid of the table of the appropriate size. 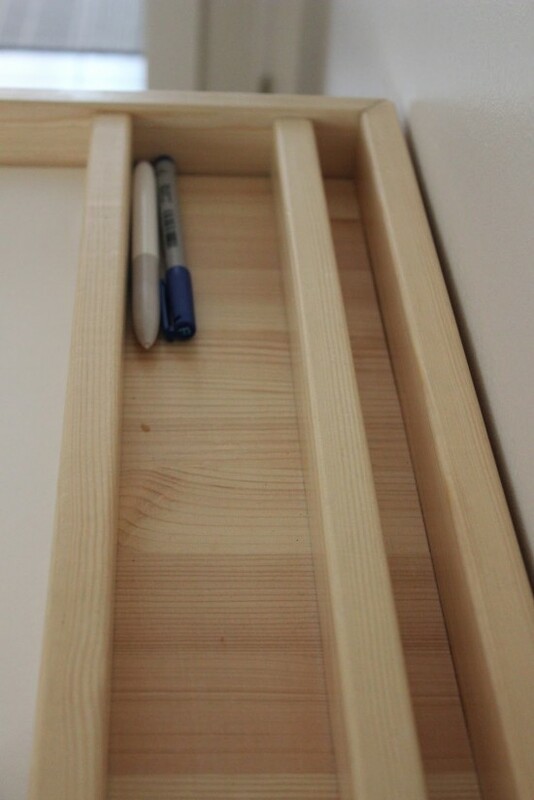 Of those rails inside the table is easy to make a couple of walls, which will serve as a place to store pencils, paints and markers. 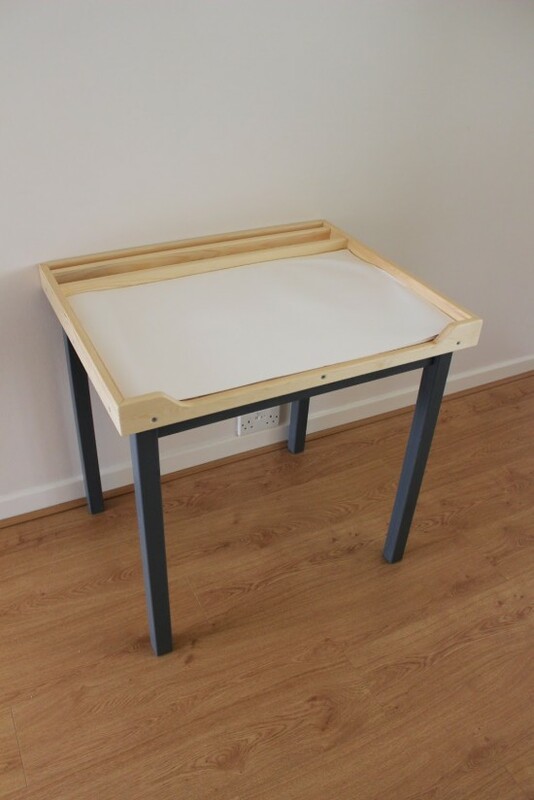 Desk easel ready. We can only process the wood colorless mastic of beeswax BEHANDLA. It will give additional strength to wood and increase durability. Also, in addition to the internal part of the cover can be attached to a magnetic board. This will help to diversify the activities of the child, for example, in those moments when he refuses to draw. Different sets to work with children will help absorb the expense of the alphabet and develop many other very important for the child's skills.